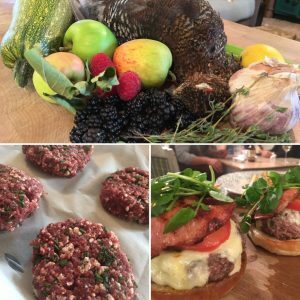 Mince together the fatty bacon and grouse breasts. Don’t add salt as this can make the burger mushy, you most likely won’t need any with all the bacon. Mix in lightly the seasonings and garlic. Over handling can make the burger dense, so be careful! Make loosely into four patties. Pan fry 5 minutes on each side med-high heat. Add your thick slice of favourite cheese and pop under the grill for another 4 minutes – until the cheese has melted. Let the burger rest somewhere warm. In this time fry your bacon. Then it’s building time! 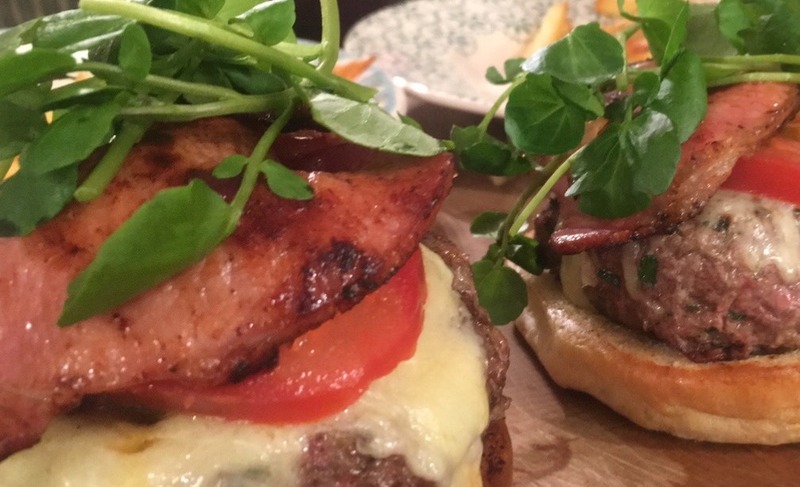 Pile up your homemade burger and cheese, bacon, seasonal salad and your preferred sauce! I added tomatoes too! Enjoy! What’s your favourite recipe for grouse?